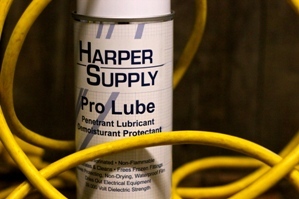 Pro Lube penetrates through rust and scale to loosen parts which have been frozen by corrosion. Pro Lube also lubricates parts to ensure free and easy movement. De-moisturizes and creates a waterproof film that dries out electrical equipment, inhibits corrosion and prevents electrical discharge.